M. Pupius M.f. Piso Frugi was one of the moneyers for the year 61 BC. He is not otherwise known. Gens Pupia was a plebeian family at ancient Rome. Members of this gens are mentioned as early as 409 BC, when Publius Pupius was one of the first plebeian quaestors, but over the course of centuries they achieved little of significance, and rarely held any of the higher offices of the Roman state. 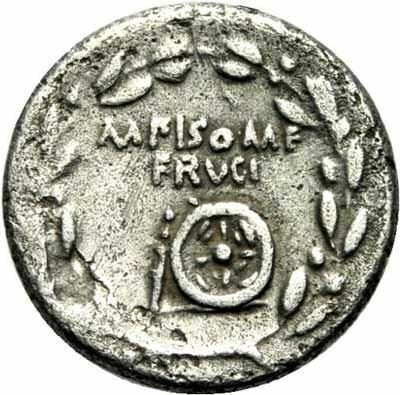 The surname Piso, belonging to this moneyer's father Marcus Pupius Piso, consul in 61 BC, was the result of his adoption from the Calpurnia gens.